Prevention is a central part of Bristol Family Dental. With the right preventive care, Dr. Ross Katkowski and our team can make your healthy smile last for decades to come and save you from having to get more involved (and expensive) treatments in the future. In an ideal world, we’d only need to see you twice a year just to clean your teeth and give you an exam, and that would be it! That’s our ultimate goal, and we bet it’s the same for our patients as well. If you’re ready to get a beautiful and worry-free smile, be sure to contact our office today. We’re also happy to serve patients from Plainville, Farmington, Burlington, and Southington as well. 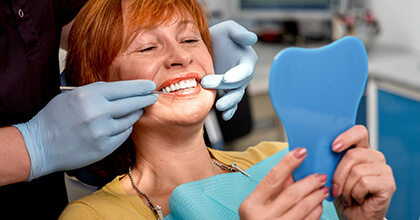 Checkups and cleanings are two of the most basic and effective tools in all of dentistry, and they’re how we keep your smile shining year after year. These routine hygiene appointments only take about an hour, and they’ll give you a healthy, functional, and gorgeous smile you’ll be proud to show off. A dental cleaning is where one of our skilled hygienists will use special tools to clean your teeth much deeper than you can at home. There are certain areas in your mouth you simply can’t reach with your brush and floss, and we’ll be sure to clear away the plaque and bacteria that have gathered there. Then, Dr. Katkowski will perform an oral exam where he’ll check for the smallest signs of tooth decay, gum disease, and many other potential issues. From there, he’ll come up with a treatment plan to meet your exact needs. 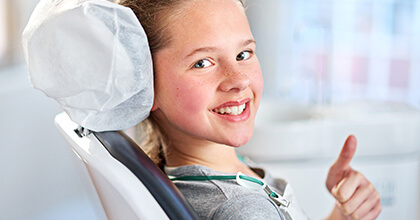 This treatment is ideal for children who are still learning how to take care of their teeth. It helps give them a little bit of extra protection right when they need it. 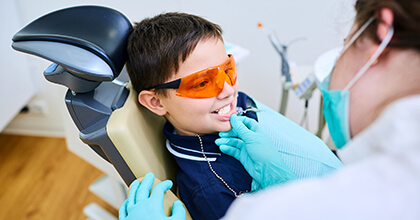 For this treatment, we’ll apply a thin, clear layer of a composite resin to their teeth in order to protect them from the accumulation of food particles and bacteria. 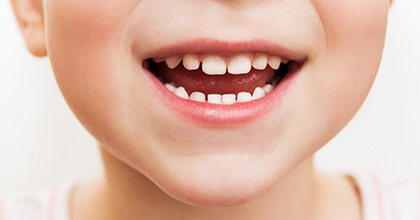 We usually only have to do this to the back teeth because they tend to be the ones children miss while brushing. With the right oral hygiene habits, these sealants can easily last for years at a time. Your TMJ (temporomandibular joint) is the set of small hinges on your jaw that allows it to move fluidly. 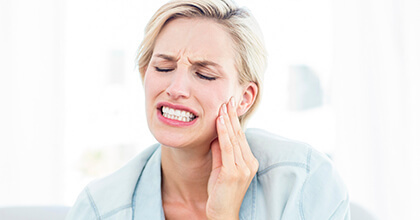 Sometimes, these joints can become strained or misaligned, and this can lead to a condition known as bruxism, which is where a person unconsciously clenches their jaw and grinds their teeth. This can severely damage the teeth over time, but fortunately, we can provide you with an easy to use custom-made mouthguard that can protect them and help realign your jaw into a more functional position. Nearly 50,000 people will be diagnosed with oral cancer this year, and despite common knowledge, nearly 25% of them will NOT be tobacco users or heavy drinkers. 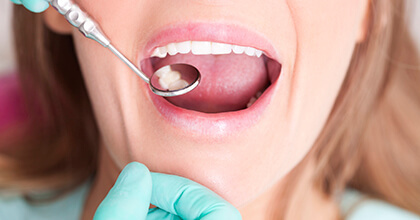 The best way to ensure successful treatment is to catch the disease early, which is why an oral cancer screening will always be part of your standard checkup. Dr. Katkowski will check your cheeks, gums, tongue, and throat for any signs of the disease, and he can advise you on what to do next if he finds anything that causes concern. When we talk about tooth decay, we actually mean that the minerals that make up a tooth have been eaten away by acidic plaque. Eventually, this decay can develop into a cavity. Fluoride, however, can actually restore these minerals when it comes into contact with teeth, which is why you will see it in most toothpastes and municipal water sources. As part of your standard checkup, we will include a complete fluoride treatment. You’ll simply rinse your mouth with a concentrated fluoride solution for a few minutes, and that’s it! It’s a very quick, simple, and effective way to help prevent tooth decay and cavities in patients of all ages. We’re happy to treat Bristol’s littlest smiles. When you bring your child to us, we’ll be able to provide them the specialized care and gentle touch they need. We’ll take the time to make sure they are comfortable in our office, and they’ll be able to ask any questions they have. The same goes for parents as well—you can consider everyone at Bristol Family Dental an ally when it comes to your child’s oral health. Gum disease, much like tooth decay, usually starts with very minor symptoms that can develop into a major oral health issue if left untreated. In fact, it is one of the leading causes of tooth loss in adults 35 and older. This is why we’ll always keep an eye on your gum health during your regular checkup. 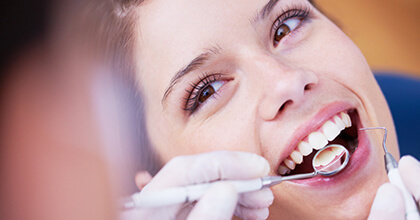 If you develop the condition, we can help you treat it with a special pair of procedures called scaling and root planing, which are specifically aimed at both treating and preventing future gum disease.